Police renew appeal for information leading to Damien Nettles on the 16th anniversary of his disappearance. Police are calling on the community of the Isle of Wight to recall and reflect on events in the town of Cowes during the night of November the 2nd 1996. 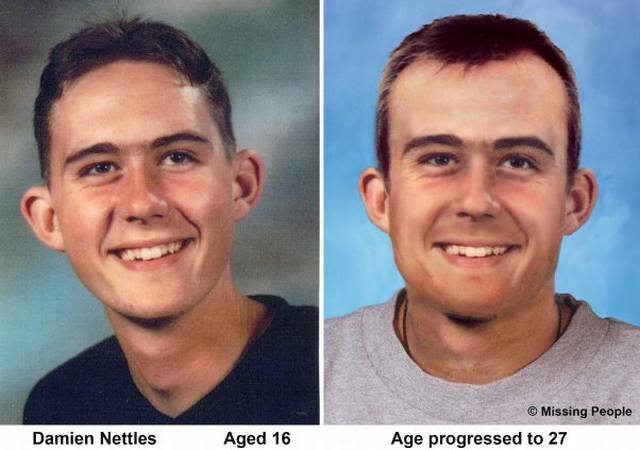 16 years ago this week was the last time that 16-year-old Damien Nettles from Gurnard on the island was seen during a night out in Cowes. Detectives are renewing an appeal for information about Damien’s movements on the night he went missing, and his possible whereabouts now. A reward of £20,000, funded by Hampshire Constabulary, remains on offer until the start of April 2013 for information leading to the location of Damien Nettles. Senior Investigating Officer Superintendent Dave Powell said, “Since the police reward was announced on October 4 this year, we have received at least 20 pieces of information. Police are grateful for the public’s continued interest and support for our efforts to find out what happened to Damien. We are determined to solve this case with the help of the community. “The information received over the past month is being assessed by detectives who are keeping an open mind about future lines of enquiry. We must not draw any premature or hasty conclusions. Regrettably we must remember that Damien’s disappearance has been the subject of much misinformation and gossip over the past 16 years. The last confirmed sighting of Damien on surviving available CCTV is Damien in Yorkie’s fish and chip shop off Cowes High Street at 11.35pm on Saturday, November 2, 1996. Damien was also positively identified by his family from CCTV of Cowes High Street at 12.02am on Sunday, November 3, 1996. This footage showed Damien walking to a bus stop and then back along the High Street eating his chips. Police are appealing for further information about Damien’s movements and whereabouts in the Cowes area during the weekend he went missing in November 1996. Superintendent Dave Powell said, “It’s important to take this opportunity to thank everyone who continues to raise and reinforce awareness of this case. “The Nettles family, the media, the public and partner agencies have all given invaluable efforts and exposure to all our appeals for information. “For this 16th anniversary appeal, police would like to express our gratitude, particularly for the assistance of Wightlink ferries and Onboard TV. Eight people were arrested on suspicion of murder during 2011. They were questioned and investigated over the course of a year and released with no further action and no charges. Police would again ask all media and members of the public not to publish speculation about the identities of previous or potential suspects. Such speculation is likely to jeopardise lines of enquiries to find Damien. ● Police have received at least 76 pieces of information since the 14th anniversary of Damien Nettles’ disappearance on November 2, 2010. ● 1,085 people have been involved in the investigation (either as investigators, witnesses, or people of interest) since Damien Nettles disappeared on November 2, 1996. ● 352 witness statements have been taken to date since November 2, 1996. ● 2,440 documents have been reviewed and processed. Mini-Com users can call 01962 875000. Information can be given anonymously by phoning the independent Crimestoppers charity on 0800 555 111.